Win this Medford Praetorian TI! Congratulations John Hall of Texas - Winner of the Medford Praetorian! Smoky Mountain Knife Works is giving away a Medford Praetorian TI. Valued at almost $2,200, this beast of a modern folder is considered a grail knife by many. It's 9" overall and features a 3.75" D2 tool steel blade that's over a 1/4" thick. 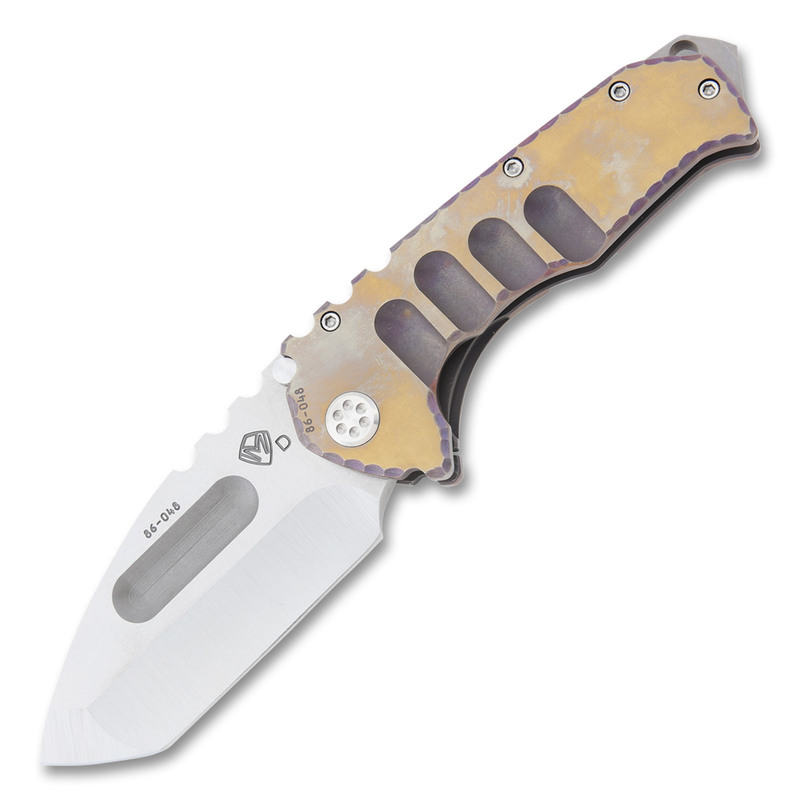 This manual flipper's solid titanium handle scales house a sturdy framelock. Entering is easy. Sign up using the form below, and you're entered for a chance to win. Invite your friends and family to sign up through email or on social media, and every time someone signs up, you'll get another chance to win. It's that easy. Giveaway Policy: You must be at least 18 years of age and a RESIDENT OF NORTH AMERICA to enter SMKW Giveaways. There is no charge to enter. One winner is selected randomly from all entries. Winners will be announced Monday 4/15/19.